Magento is one of the largest platforms for building an ecommerce website. However, to make the website more customized and functioning, some plugins are important. The Plugins makes the management of the site easy and convenient. Magento being a scalable platform is compatible to an array of Plugins. The overall experience of using Magento for developing an e-commerce site enhances by using the right Plugins. There is not much that is required to be done and installing the Plugin is very easy and convenient. Here are the top 10 Plugins that Magento must be installed for better experience. This is the ultimate Plugin that helps with the SEO for Magento based website. It includes number of SEO feature in the Magento stores and is a paid extension but is very helpful in optimization the website. It helps with optimizing URL, HTML optimization, sitemap optimization and gives CEO reports. This is definitely the first Plugin that you must take a try as it helps in optimizing the complete site. This improves the organic ranking of the website and helps in building a targeted audience. It is a free Plugin for integrating social media which enables sharing the content on the social media easily. It enables users to sign-in to the website using over 30 social networks and is optimized for all devices. The social media icons can be easily added with this Plugin. This is a free Plugin that is basically used for product reviews. It enables the merchants to ask the users the review for the products purchased from the site. The customer receives an email asking for feedback or review. The users can also share the same on social media for more traffic. This is a comprehensive search box with advanced features and options that is perfect for e-commerce sites. This Plugin allows addition of search box and is perfect for online stores that have around 500 products on display. It is a cloud based Magento Extension and also supports CDN platform. This is the ultimate Plugin that you need for setting up customer service for the site. It helps with enhancing the shopping experience for the customer. It also allows the customers to raise a support ticket without having to leave the page. One can add feedbacks and helps improve customer experience. This is a great paid Plugin or extension that helps in improving the standardized functionality of the web store. The size of the image and thumbnails can be customized using the Plugin. It does not require jQuery framework for managing the activity and is compatible with multiple browsers making it versatile. This allows you to convert the Magento store into a marketplace where you can integrate multiple sellers and buyers on the same dashboard. With the integration of this Plugin, all sellers get a vendor dashboard for managing inventory, sales, and returns. It is a great Plugin for collective market place. This is one of the best Plugin when it comes to payment security. The Plugin helps in securing all the financial transactions made through the website using the secure XML gateway. The extension is scalable, reliable and is easy to use. It accept payment but not does not work with refunds. It is important to monitor what products are in stock and what are out of stock. The Plugin is the best one to notify you of when product goes out of stock. It helps in improving and managing the inventory by creating notification for the products that’s out of stock. 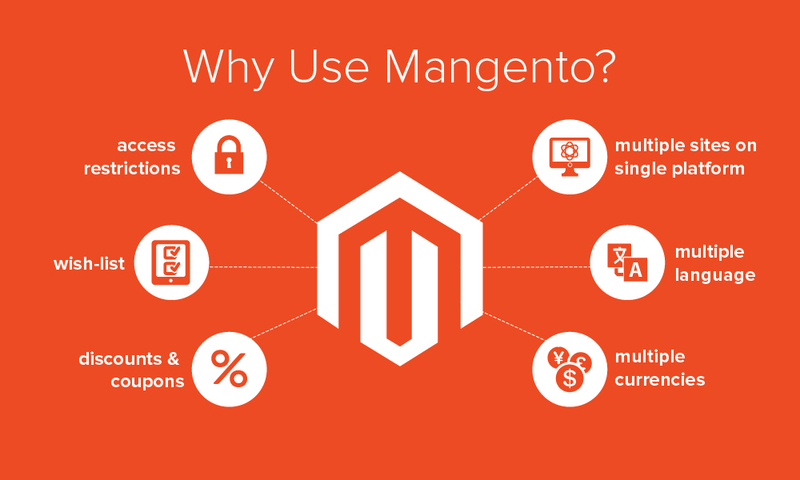 Magento is a widely used platform for developing a e-commerce site. However, with the Plugins or extensions it becomes even better for the owner as well as for the customers.